The R-122 MKll is an extremely versatile phantom powered ribbon mic with a switchable -15 dB pad and a switchable bass roll-off set at 100 Hz, 6 dB per octave. Recorded by Michael Wagener at WireWorld Studio, Nashville TN. Recording chain: R-122 MKll to Chandler TG2 preamplifier. Recorded to Nuendo. 1) the mic’s output is too hot for the following mic pre to handle. The R-122 MKll’s -15 dB pad reduces the mic’s sensitivity to 2 dB LESS than our non-powered R-121, giving the mic plenty of headroom even in torturous conditions. In this video we used a 100-watt Metropoulos 12,000 amplifier turned up LOUD but fairly clean. See recording notes below. 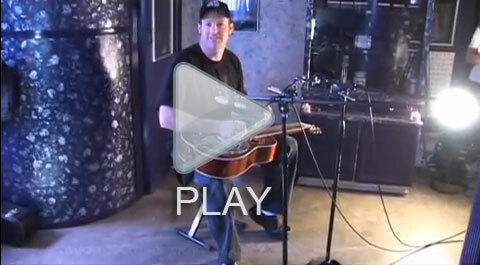 Randy Kohrs playing Dobro. Recorded by Randy Kohrs at Slack Key Studio, Nashville TN. 1) R-122 MKll on Dobro, flat with no switches engaged. 2) R-122 MKll on Dobro with low cut switch engaged. 3) R-122 MKll on Dobro with low cut switch and -15 dB pad engaged. 4) R-122 MKll on Dobro with low cut switch and -15 dB pad engaged. The RTZ preamp is turned up 15 dB to make up for the -15 dB pad, bringing in more of the personality of the pre. Dobro and Banjo recorded into ProTools. 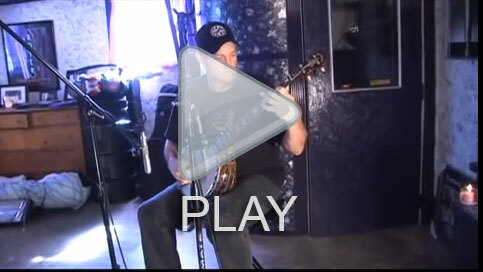 In these two videos, Grammy winning engineer/producer/musician Randy Kohrs shows us his techniques for recording Dobro and Banjo. It’s a great here’s-how-to-do-it for each instrument from an outstanding musician and engineer.